Alana Stevenson, Cat Behaviorist, provides tips to get your cat acclimated to a carrier. It’s all too common for cat owners to struggle to get their cats to like carriers or to get their cats into them. 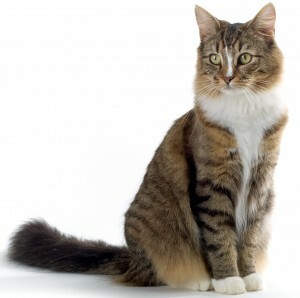 The usual scenario is the kitty knows something is awry when the owner gets the carrier (usually stored in a closet, basement, or spare room) and upon seeing or hearing the carrier, runs terrified, and then hides under the bed or in a closet. Sometimes a death battle ensues, where cat owners fear they will get scratched or bitten (and frequently do), and/or a chase follows where the kitty is cornered and tackled, and somehow the owner manages to shove the poor kitty in. Cat owners may call the vet in dismay and cancel an appointment. Other times, they simply do not take their kitties anywhere, avoiding vets or travel altogether, unless in a dire emergency. Most of this is fairly unnecessary. Here are some tips to get your kitty acclimated to a carrier. S/he may even begin to like it. (And yes, I can vouch for these since all my cats over the years, from many walks of life, and most trapped from the street, have enjoyed and liked their carriers – and all easily take road trips without much of a fuss). Invest in larger carriers. If your cat is terrified of your carrier, and runs and hides at the sound or sight of it, ditch it and start fresh. Soft crates work best for most cats. These are medium to large-sized soft dog crates. Most cat carriers are too small for most cats. Small soft crates for dogs may work for little kittens or smaller pets, such as rats or guinea pigs. (I personally use Noz-to-Noz 2 soft crates for my cats for transport (with carry straps) and large soft dog crates for travel). If you have a kitty who may panic in the carrier or try to scratch at the sides, a soft crate may not be the best option since many have mesh sides that zipper (easy access) and mesh windows. This isn’t a problem for most cats. If this is your kitty, get a large plastic cabin crate where the top can come off. Think large. 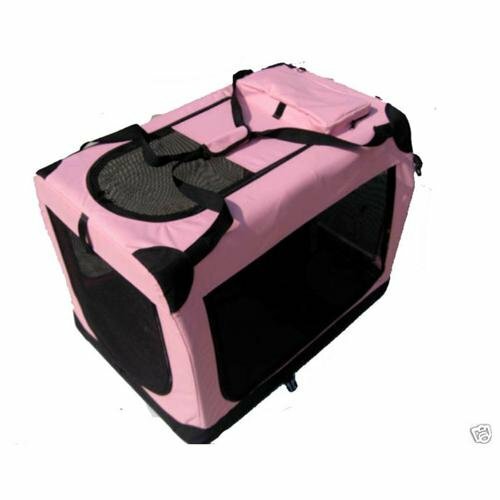 The larger the crate or carrier, the more room for your kitty and more comfortable and less trapped s/he will feel. For cats who may panic at the vet, plastic carriers where the top can be removed, can be good for exams. With a cabin crate, the top can be removed, so kitty can be examined under a blanket while s/he can stay in the carrier, for most, if not all, of the exam. This especially can work well for routine check ups. Get kitty acclimated to the carrier in a positive way. Don’t leave it in a closet or in a storage room. Instead, leave it out in the living room, bedroom, or wherever your kitty is comfortable so your kitty always has access. Put a really plush blanket, thick sherpa fleece, or small/medium sized dog bed or large cat bed in the carrier or crate. Make the carrier comfy and accessible. If you start fresh with a medium or larger-sized soft dog crate or plastic cabin crate, your kitty most likely will enter voluntarily. If you are using a plastic cabin crate, you may have to remove the door initially so it is less intimidating. This is unnecessary for soft dog crates. For soft crates, when kitty is comfortable, release the mesh or fabric door so it covers the entryway (Leave it unzippered). Many kitties will simply enter on their own. Make sure there is always a positive association with the carrier or crate on a day to day basis. Put treats in the carrier or crate. When your kitty goes into the carrier, give him/her goodies and praise, or catnip. Ensure the inside of the carrier is soft (see above tips). Cats love plush surfaces and warmth. Wash the bedding regular (Many cats love freshly laundered clothes and linens). If you need to, spray Feliway (a synthetic pheromone) once near or in the carrier, or plug in Feliway to an outlet nearby. By turning the carrier or crate into a cat bed, cat zone, or a safe and positive resting area for your kitty, and by leaving it out at all times, your kitty will be much less fearful of the carrier and most likely will come to have a positive association with it and enjoy it. Alana Stevenson can be contacted through her website.